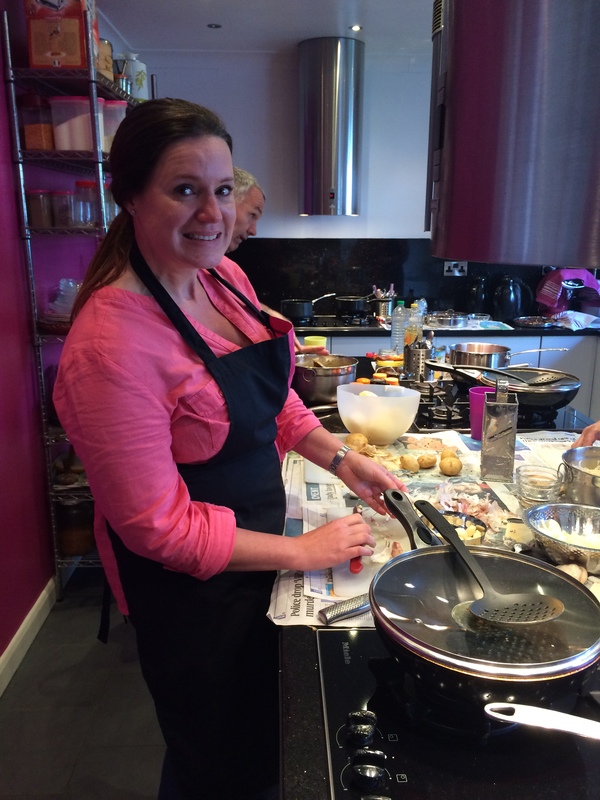 For my birthday, my husband said he’d treat me to a cookery class. Some of you may know that I’m currently embarking on a new adventure – to open a cookery school at the end of my garden…and so I randomly Google’d ‘cookery school in garden’ and up popped a link to this Daily Mirror article about a lady called Ren who had been made redundant whilst pregnant and so turned her hand to teaching people her Mother’s authentic Indian dishes from the comfort of her home kitchen. 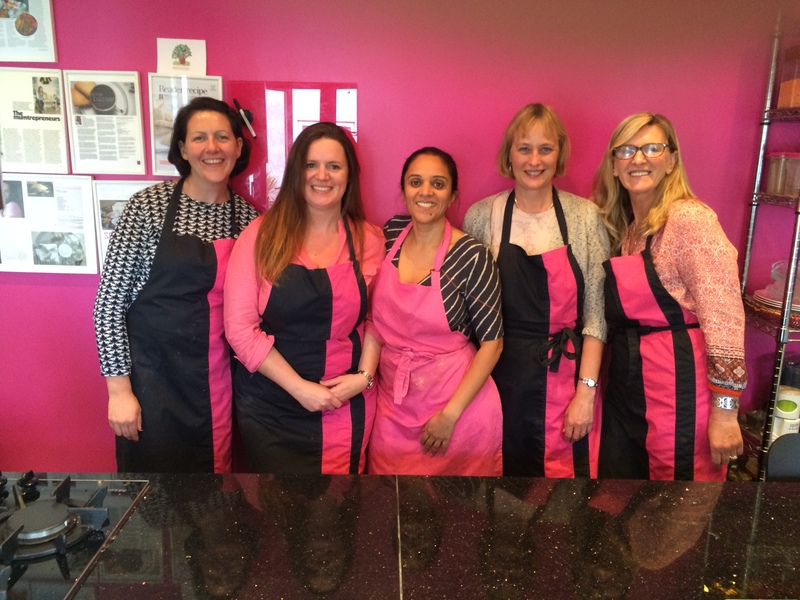 It became so successful that she expanded the business to a purpose built kitchen at the end of her garden…BOOM! Not only would I be able to see a real live working cookery school from someones garden, but I’d also get to learn to make something that I would otherwise feel incompetent to do myself. I quickly booked on to the ‘Dinner party delights’ class and managed to convince my bestie to join too. We received our email with class description and instructions on how to get there. Also in the email, we were told to bring along the spices from our own kitchen. We arrived on a Saturday morning, clutching our spices to our chest as though they were the contents of our embarrassing knickers drawer, and was welcomed by Ren herself in her fully kitted out, pink walled kitchen. It’s a lovely space – bright, welcoming and filled with spices and delicious curry smells before we’d even had a chance to power up the gas burners. There were 5 people in our group – some had travelled from as far as East Sussex because they’d heard such great things about it. Ren started by gathering us around the worktop and taking us through our spices…I don’t want to ruin the surprise of this part for you, so all I’ll say is that I thought I was good at tasting and testing my food, but this left me gobsmacked – you have to attend the course, even if it’s just for the secrets we discovered in the first hour! All dishes bar the chapatis included Ren’s magic paste (another secret I’m afraid you’ll have to go learn for yourself!) and something that’s certainly going to change the way I think about and make spiced food…not just in Indian dishes. We got to try all of the food while we were there to a chorus of “mmmm yes mmmm” and took the rest home in plastic containers to test the honesty of our relationships with our partners (I almost bailed and ate it on the train home without telling hubby but stupidly saved it to share). Our class ran over by around an hour – a true mark of someone who cares about what she’s doing, rather than just wanting to power through and bring in the dosh. And at the end we were able to buy some of the items we’d used in the class. I am now the proud owner of a beautiful spice box filled with amazingly fresh spices, an Indian rolling pin to make my chapatis, along with a chapti presser to prevent me from burning my fingers and getting a nice puff on my chapatis, and a pilau rice kit so that I can progress on from my stodgy starchy rice to something more refined and authentic. I think it’ll be a very long time before I get myself a takeaway, especially now that I have batches of base sauce made up and in my freezer ready for when the curry cravings hit! 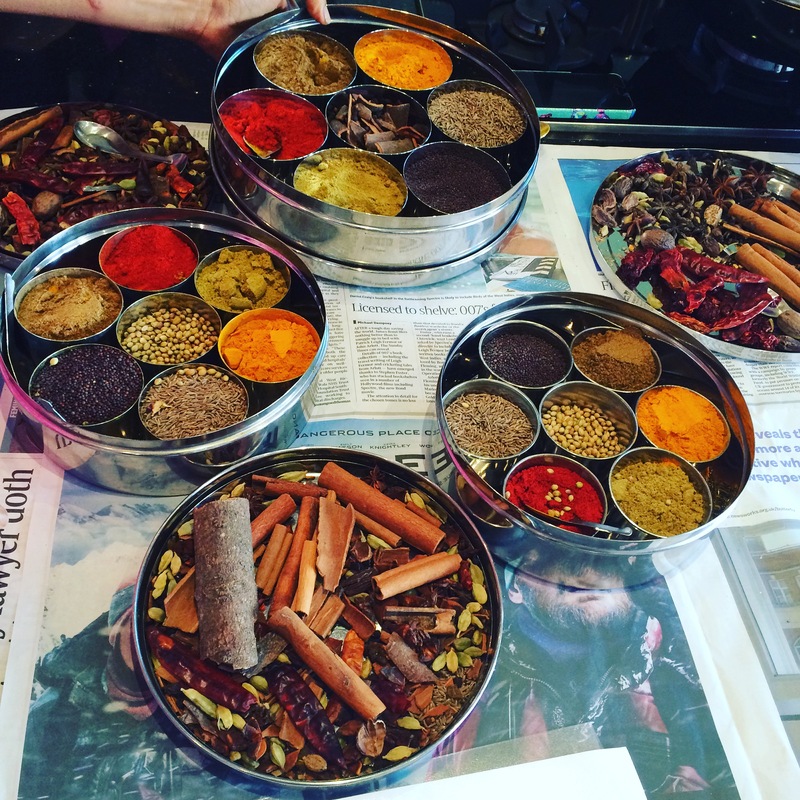 And I would 100% recommend Ren’s Kitchen to anyone looking for an authentic Indian cookery course or even to buy your spices from!